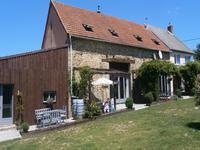 The Creuse is located near the centre of France and is close to airports and major roads. It is one of the cleanest parts of France and remains unspoiled. The air quality and abundance of wildlife are superb. There are many opportunities for outdoor recreation including walking, cycling, fishing as well as more gentle pursuits. The infrastructure has improved in recent years and has resulted in greater economic development and improved facilities. Property prices remain low and represent great value. My wife and I were driving back from a holiday in Tarn Department a few years ago and stopped in the Limousin for a break. We were surprised and charmed by the pristine environment, unspoilt villages and delightful scenery. We decided to investigate further and eventually moved to the Creuse in 2016. We were not disappointed. We live in a delightful rural community though we have all major facilities nearby. Our only regret is that we only discovered the Creuse so recently. Moving to the Creuse has been the best decision we have ever made. Wonderful family home in excellent condition with annex, extensive gardens, above ground swimming pool, stables and equine area. This excellent family home has been sympathetically restored to provide modern comfortable . . .
Beautiful 3 Gîtes Complex, plus House, with Outbuildings, separate Garage and Parking, and land. These 4 Beautifully renovated properties are located at the end of a small hamlet down a . . .
An excellent family home or Bed and Breakfast with 7 bedrooms, swimming pool, annex, gardens . . . Superb, historic 5 bedroomed family home in excellent condition with garden, land, woodland and fishing stream. A beautifully converted mill which retains many original details. 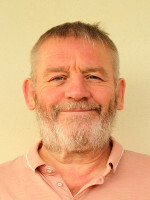 The owners have maintained . 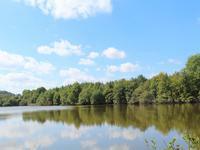 . .
Two fishing lakes with vehicular access, surrounded by forest and farmland and near a . . . 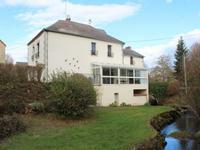 Excellent country house in the beautiful Creuse. Ideal large family home or tourist business opportunity. House including downstairs: boiler room, 2 large bedrooms, lounge, 7 small bedrooms, wc . 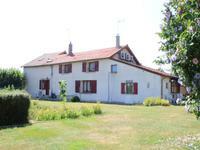 . .
Large, attractive 4 bedroom property set in the heart of the Creuse countryside. Wonderful family home with 4 bedrooms, 2 living rooms, play room, library, dining room, . . .
Picturesque, well maintained ensemble with house, barns, outbuildings and land. Quiet setting. Surrounding a grass courtyard, this very well presented set of properties, totally of the . 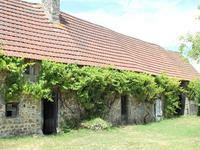 . .
Delightfully restored 3 bedroomed house in excellent condition set in almost 2 hectares of . . . Impressive Maison de Maitre for part renovation in pretty Creuse village. Impressive Maison de Maitre for part renovation in pretty Creuse village. Close to . . . Attractive three bedroom character house with garden in a quiet location in a popular village in the Creuse. This house is located in a lively village in rural Cruese which has a post office, shops, . . . Bright, versatile 3 bedroomed house located in the Creuse countryside. 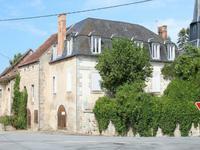 Close to shops and other facilities in the villages of Chenerailles and Jarnage. Lovely, cosy 2 bedroomed house set in a delightful hamlet. An Ideal lock up and leave holiday home. 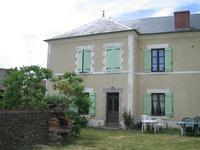 Pretty, recently renovated house in a quiet hamlet but close to facilities in the town of . . . This authentic farmhouse to renovate takes you back in time! On the ground floor the farm has . . .